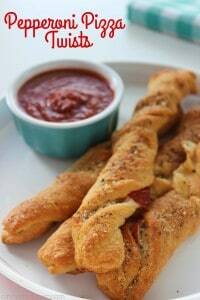 These Pepperoni Pizza Twists make for a perfect after school or evening snack. 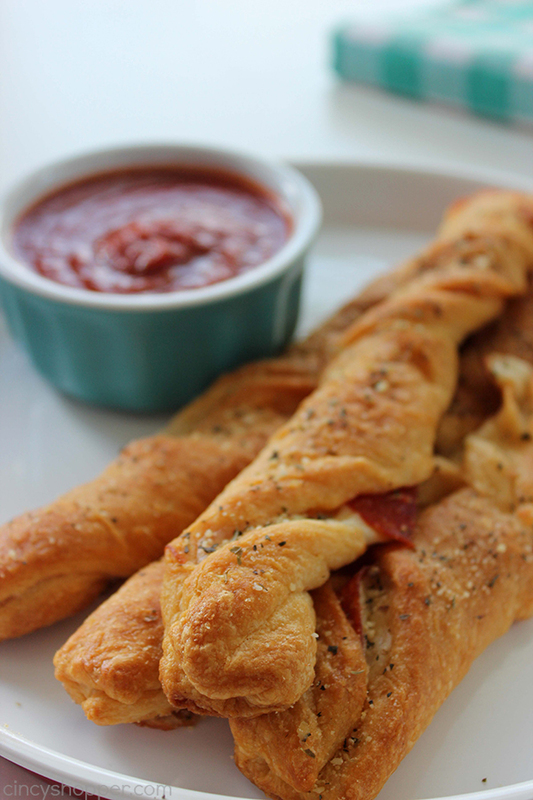 Twisted Crescent Rolls loaded with pepperoni and cheese, dusted with a delicious parmesan seasoning. 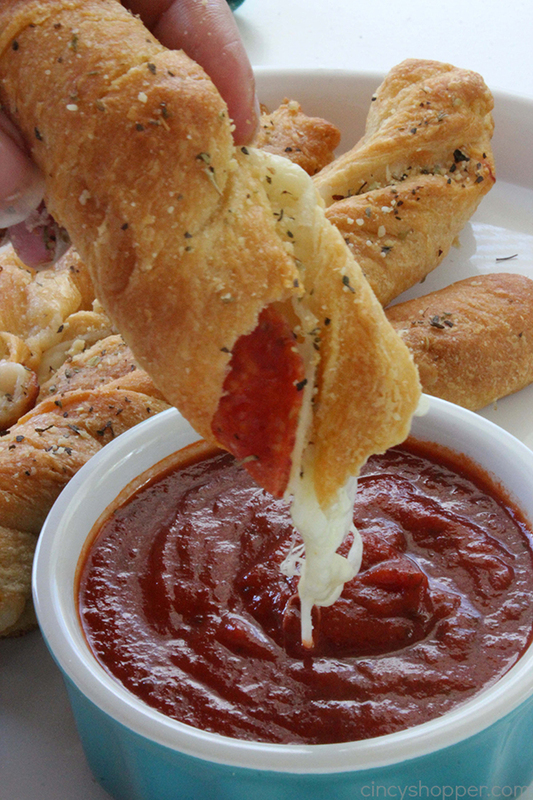 Perfect for dipping in your favorite pizza sauce. My kiddos are on break for the summer. I have three teenage boys who can eat like crazy. During the summer months, my grocery bill goes through the roof. I usually keep the freezer stocked with simple snacks that they can make for themselves throughout the day. I keep pizza rolls stocked all of the time. 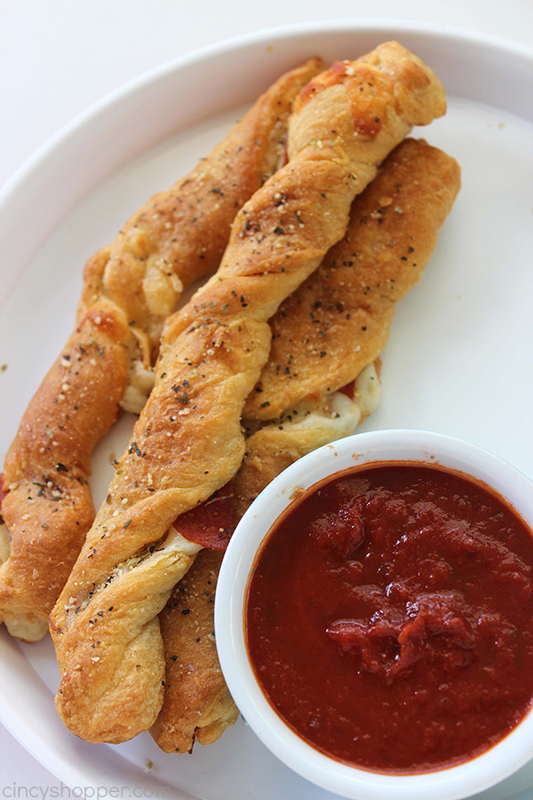 Pizza Rolls are my kiddos favorite quick and easy snack. Yesterday, the stock was totally depleted and they were wanting an afternoon snack. 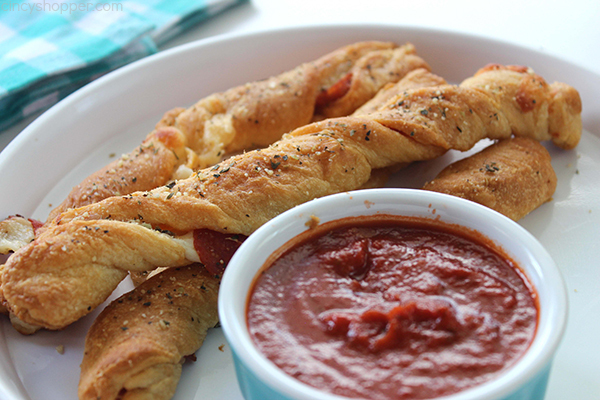 Since I had some crescent rolls, pepperoni, and cheese on hand, I whipped them up these easy Pepperoni Pizza Twists. 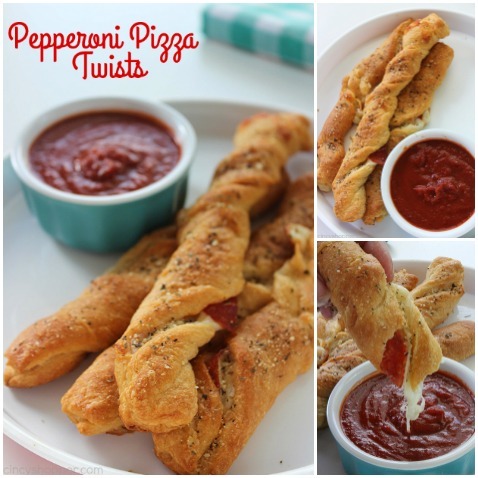 Pepperoni Pizza Twists can be made with pizza dough, crescent rolls, or even crescent sheets. Use store bought or homemade. 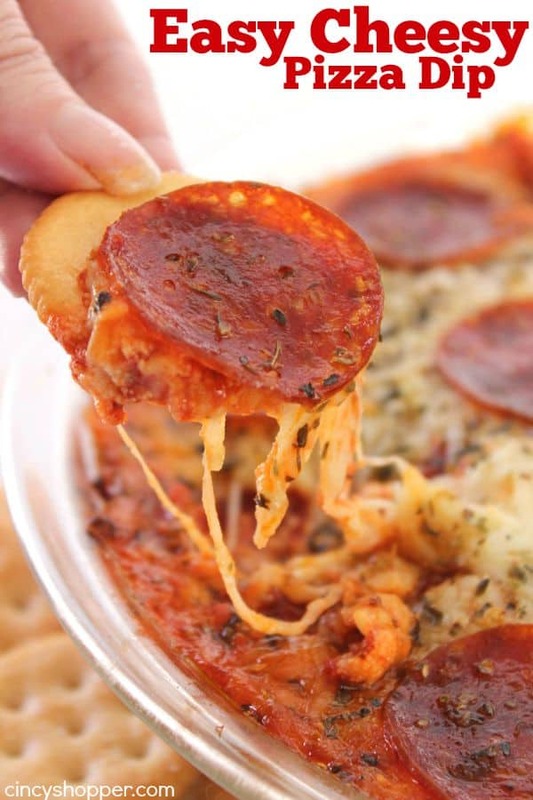 Since we have the pepperoni and cheese in the twists, I just added some pizza sauce to a dish for dipping. You could use store bought sauce or even use your own homemade. 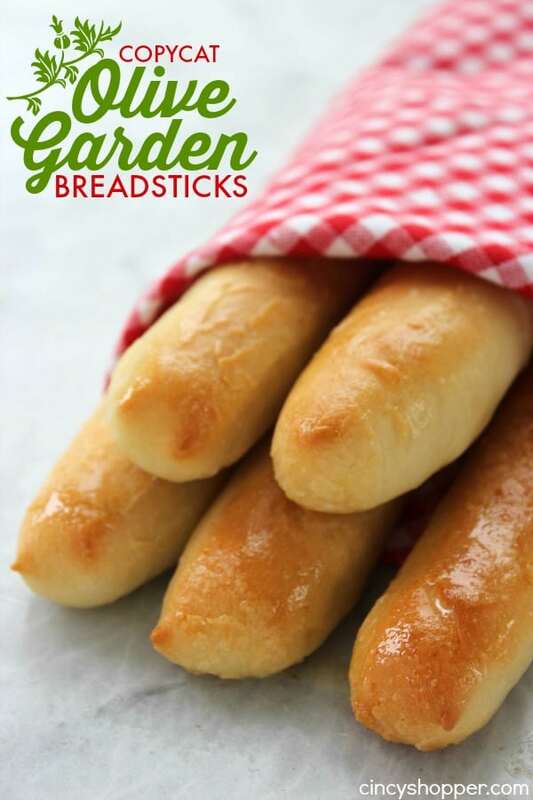 These little snacks remind me of the over priced breadsticks we order sometimes when we have pizza delivery. I even dusted our twists with a parmesan seasonings that is super easy and it kicked them up a notch. 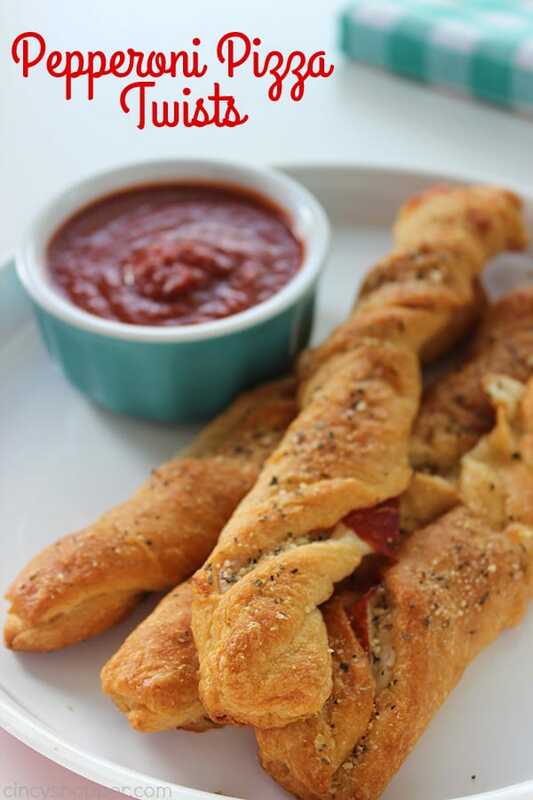 All that is needed to make your own Pepperoni Pizza Twists is dough (I used crescent rolls), pepperoni, cheese, an egg, and some pizza sauce. 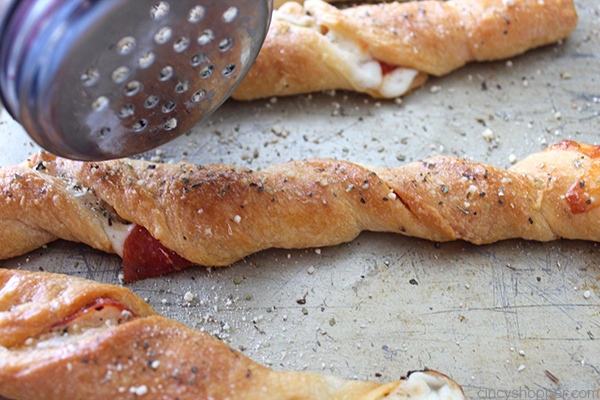 You can throw them together, twist them, and have them in the oven in just a few minutes. 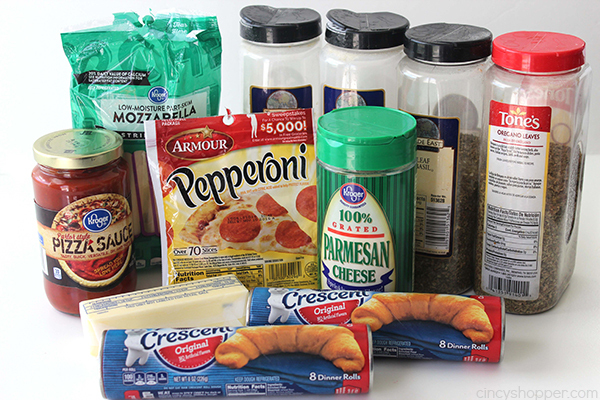 You can use the same parmesan seasoning mix I used to make them extra good. 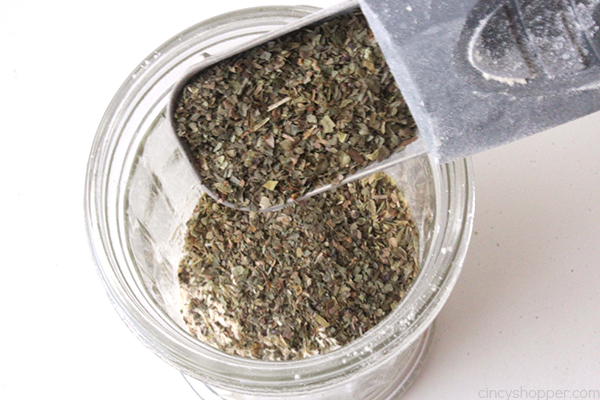 Combine seasoning mix ingredients in a shaker. Mix well and refrigerate. Spray baking sheet with non stick spray and set aside. 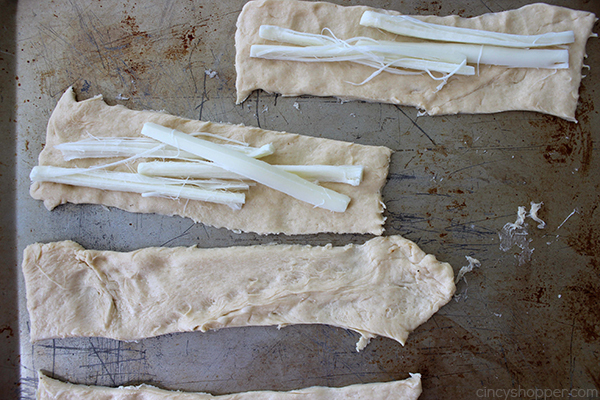 Separate dough into 4 squares/rectangles. Pinch diagonal perforations in each of those to seal. Cut each rectangle lengthwise, creating 8 rectangles. Cut each string cheese in half. 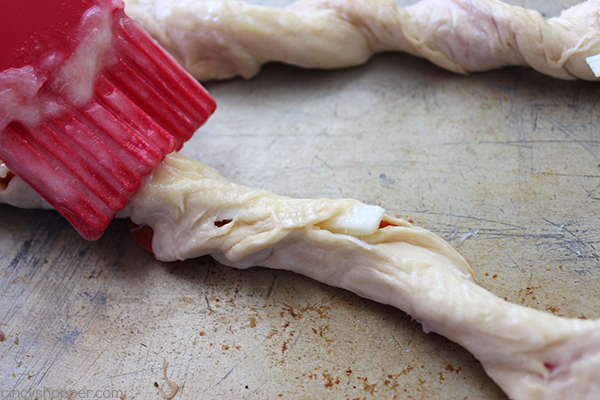 Pull apart each half of a cheese stick and distribute over each square. 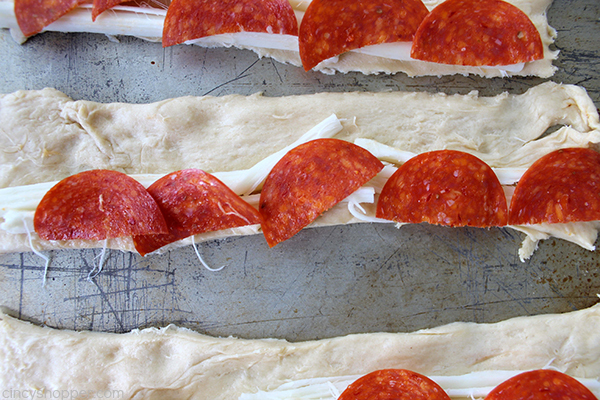 Cut pepperoni slice in half and place 4-5 half slices on each piece. 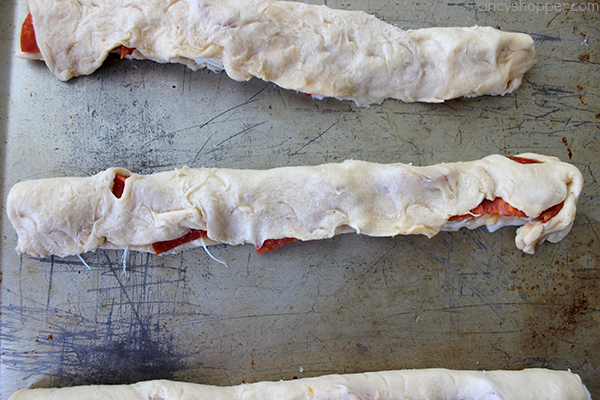 Fold over and pinch edges of each piece of dough. Pick up and twist each stick and place on prepared sheet. 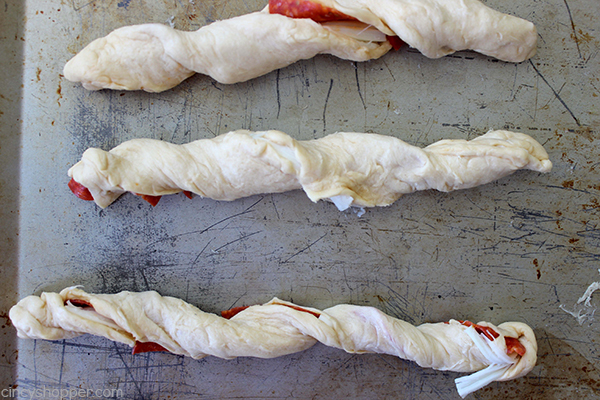 Brush twists with butter and bake for 10-15 minutes, until golden brown. 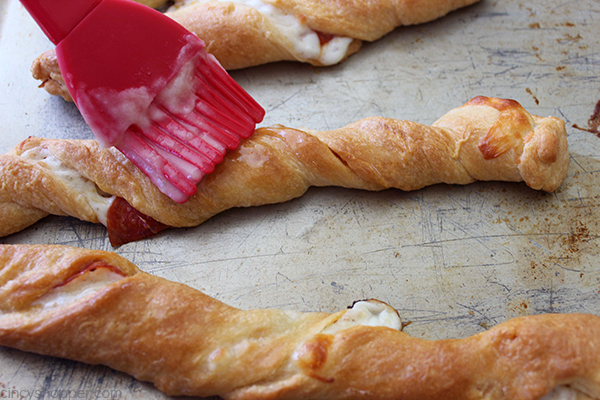 Brush baked twists with butter and sprinkle with seasoning mix. 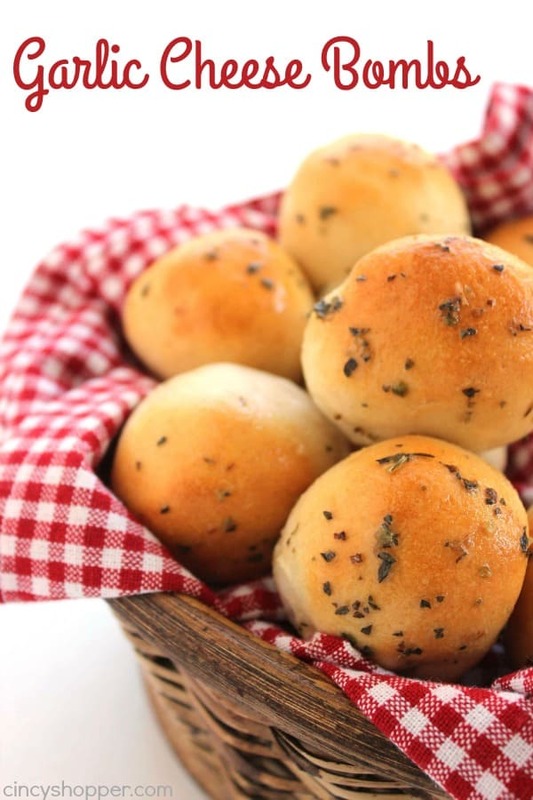 Do you have a favorite Pizza Snack Recipe? Looking for other easy snack ideas? Be sure to see these other recipes that I have shared…. These look amazing! Would love to have you share it on the What’s for Dinner link up!